Openreach, the access network division of BT Group, is to recruit 3,000 new trainees – of which around 1,600 are newly created roles - over the next 12 months in order to support its ‘full fibre’ broadband build plans. The news was announced as the company opened its new training school in Peterborough, one of 12 new regional fibre training centres built to support the rollout. The opening was attended by Secretary of State for Work and Pensions, Amber Rudd MP. New roles will be located throughout the UK, with trainees joining Openreach’s team, working to expand, upgrade, maintain and install services over its national broadband network. 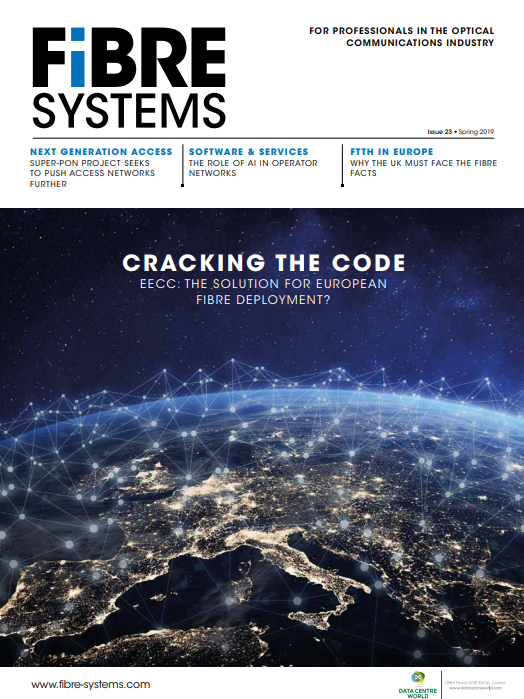 Around half of the engineers will be helping to deliver the company’s Fibre First programme, which is designed to bring Fibre to the Premises (FTTP) technology to millions of front doors. Alongside the latest recruitment drive, Openreach also revealed 11 new locations where FTTP network building will take place during 2019, including Bury, Barking & Dagenham, Bexley, Croydon, Greater Glasgow region, Harrow, Merton, Redbridge, Richmond upon Thames, Sutton Coldfield, and Salford. This brings the total number of towns, cities and boroughs up to 25. Openreach additionally plans to publish information on its website detailing build plans for the next 12 months, including the total number of exchange areas to be reached in each location. It will also publish details of the specific exchanges where FTTP is currently being built, has already been built, or it intends to start building within the next three months. The company plans to update this information every three months as part of its commitment to supporting the Government’s FTTP ambitions and strategy, as set out in the Future Telecoms Infrastructure Review. Minister for Digital Margot James said: ‘Openreach's publication of clear plans for where, when and how they will be investing in new fibre networks is an important step. Long term commitments from the industry like this are very important for local communities who need this kind of guarantee on when they will be able to take advantage of the benefits that fibre can bring.